This was a superb book to read. So glad I decided to finally tackle it. I am not overly fond of hardback books, especially ones with 479 pages of teeny tiny type. I prefer MPB or TPB, but I had this one at a great price from my bookseller friend, Our Lady of the Books Pamala, so there it was on Mt Git'r'Read. 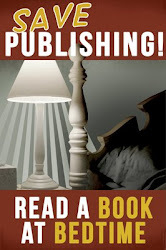 I have read Stephen Lawhead, a rather prolific author of "mythic history and imaginative fiction" as per one of my favorite sites, fantasticfiction.co.uk. I have read three of The Pendragon Cycle, two of The Song of Albion, and I have BYZANTIUM on Mt Git'r'Read. I now have the rest of the KING RAVEN series he has, SCARLET and TUCK, on my wishlist. 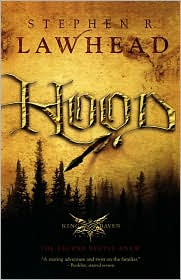 Lawhead explains in the back of the book why he places the story in Wales instead of the expected Sherwood Forest. I will leave it for the readers to find out, but I really liked the reasoning. The book starts with Bran, prince of a small area of Wales. He is spoiled and used to getting his own way. Then the Ffreincs show up on the doorstep from England that already have conquered. They are in the mood for more loot and land and Wales fits the bill. Bran's father, the king, gets killed by the Ffreincs who have been told that this is now their land and the King Rhi Brychan should be dispatched. Bran is captured sometime afterward, gets injured while escaping, is patched up and given valuable life lessons by an old bard woman. I can't wait for the rest of the series to fall in my hands. So nice to look forward to more books in a series. Hope you find them all as good as this one! Wow - I love Robin Hood! I must have been living under a rock, because I don't know about this series - I've got to check it out. Nice review! Mary: I am looking really looking forward to the rest. Bobbi: Glad you liked the review. I can't remember where I heard about this, but so happy I did. I hope you will like it too.